This is going to undercut Tesla’s plan by a matter of years. 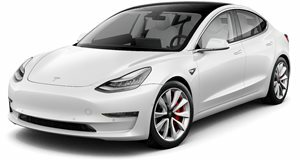 For now, fans of Elon Musk and his electric car company are holding their breath for the release of the Model 3 sedan. Following that should be a Tesla pickup truck that’s sure to raise a few eyebrows given that it blows away traditional ingredients used to build the genre. However, there is another American auto manufacturer thinks that Tesla’s timeline isn’t quick enough, so it will debut its own all-electric pickup truck by 2018 if everything goes to plan. That would be Workhorse, a small company that prides itself on building plug-in hybrid delivery trucks for UPS, Fed-Ex, Penske, and more. Those delivery vehicles specialize in last mile delivery services, but all use a relatively simple ladder frame chassis that features electric motors, batteries, and a BMW REx two-cylinder gasoline engine that acts as a generator once the batteries go flat. Workhorse has just announced that it's planning to debut a pickup truck intended for fleet use that will ride on a similar platform. Called the W-15, the truck uses a weight saving steel ladder frame chassis, which then sees the addition of lithium-ion batteries from Panasonic to power two large electric motors, one for each axle. The battery tray is integrated into the chassis for added strength and to reduce the center of gravity. Together, the system should be able to provide 80 miles of emissions-free driving, while the gas-powered onboard generator should give an extra 310 miles of juice once the juice is gone. Thanks to the space opened up by the electric motors and front-mounted generator, the front crumple zone has been extended to make the Workhorse W-15 one of the safest trucks on the market. When the crumple zone isn’t busy saving lives, it doubles as a frunk, much like the ones seen in Tesla models. Inside there is seating for five people within the 7,200 pound truck (keep your eyes in their sockets, the Tesla truck likely won’t do too much better). At least the low-end torque allows for easy towing. Buyers will be happy to learn that the W-15 isn’t primitive either. It features four-wheel drive for the mud, regenerative braking to help slow all that weight, lane centering technology, and even auto braking. Workhorse hopes to debut the truck in 2018 but given the constant change in the tides of the auto market, it's unclear if that will happen.